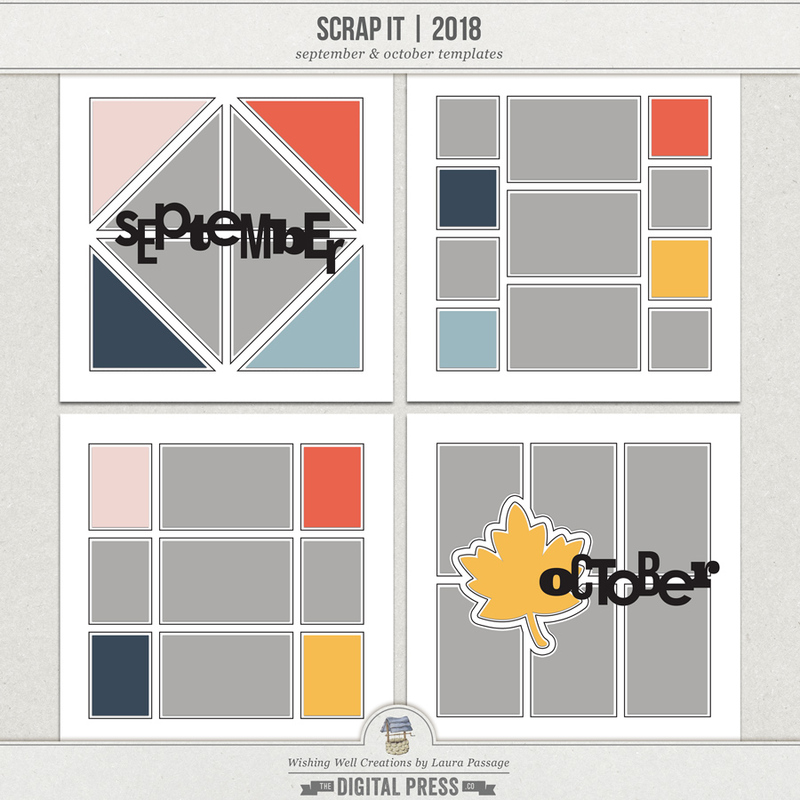 If you're participating in TDP's year-long scrap project/challenge -- Scrap It | 2018 -- and you've been wanting to get a head-start on your September or October layouts (and therefore don't want to wait until each set is FREE in October/November 2018)... you can simply purchase them now! 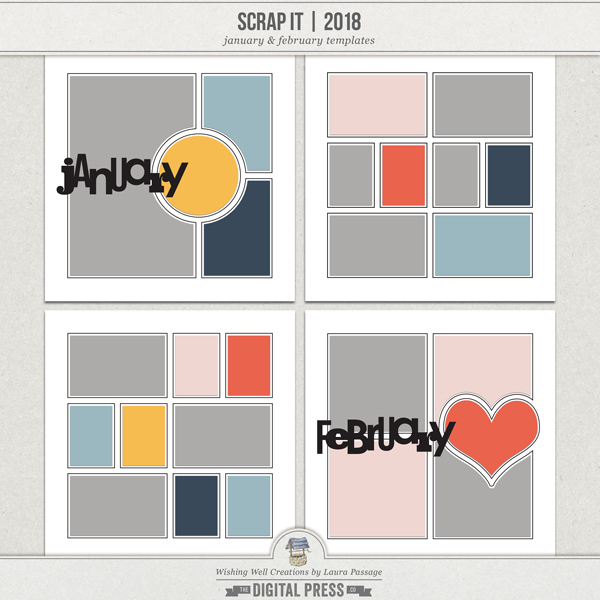 All 4 templates coordinate with the rest of the Scrap It | 2018 collection by Laura Passage. *NOTE* The "September" templates (2; shown on the top half of the preview, above) will be FREE during October 2018 as a part of TDP's "Scrap It | 2018" event... and the "October" templates (2; shown on the bottom half of the preview, above) will be FREE during November 2018 as a part of TDP's "Scrap It | 2018" event. 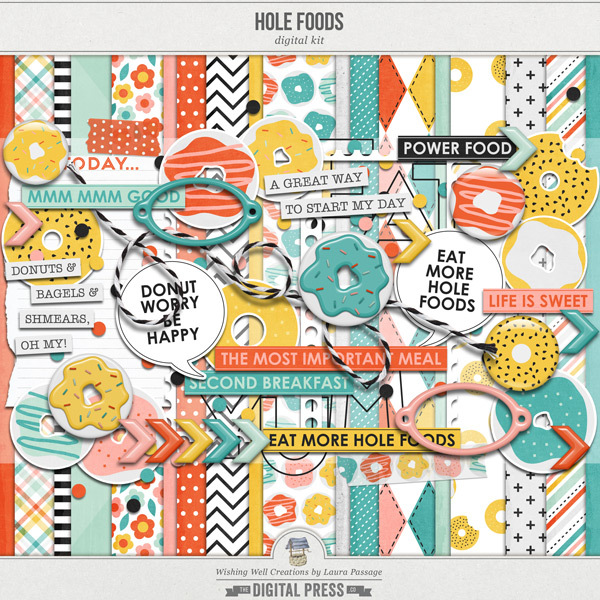 They have been packaged together as a product available for sale in the shop for anyone who wants early-access to the templates (for example: for those who might be using "Scrap It | 2018" to go back and quickly document previous years, etc. ).